Medjool Date Company Website in top 2% of Fastest Websites! 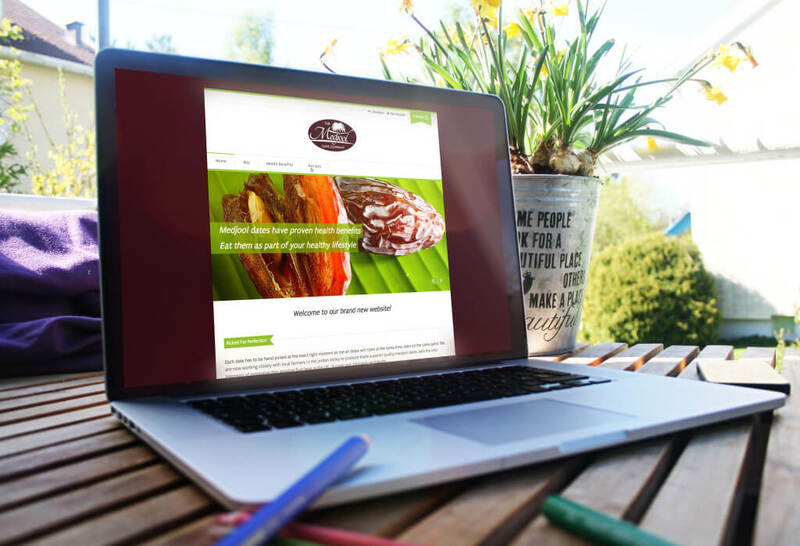 We have just launched a simple but effective, clean and tidy little e-commerce website with the sole purpose of selling and purveying information about just one delicious product: medjool dates. It’s always a pleasure to promote something that you love, and medjool dates have been my favourite dried fruit ever since the first time I tasted one – they truly are both delicious and nutritious. If you’ve not had the pleasure yet I genuinely recommend you try them – you can buy anything from 200g to 5kg very easily on the Medjool Date Company website. We also broke a personal record with this website: it’s the fastest loading site we’ve ever built, loading in less than half a second! Don’t just take our word for it – check it yourself on Pingdom (Disclaimer: the test result will vary depending on a number of factors, you may find it’s not quite as fast when you run the test, but do try again and feel free to let us know what result you’re getting). Performance is absolutely key when it comes to website development – it’s a fairly well known fact that 40% of people abandon a website that takes more than 3 seconds to load, while 47% of consumers expect a web page to load in 2 seconds or less. We aim to ensure every website we build loads in under 3 seconds, but in this particular case, through some very clever techniques and technologies deployed behind the scenes, we managed to absolutely smash those targets! 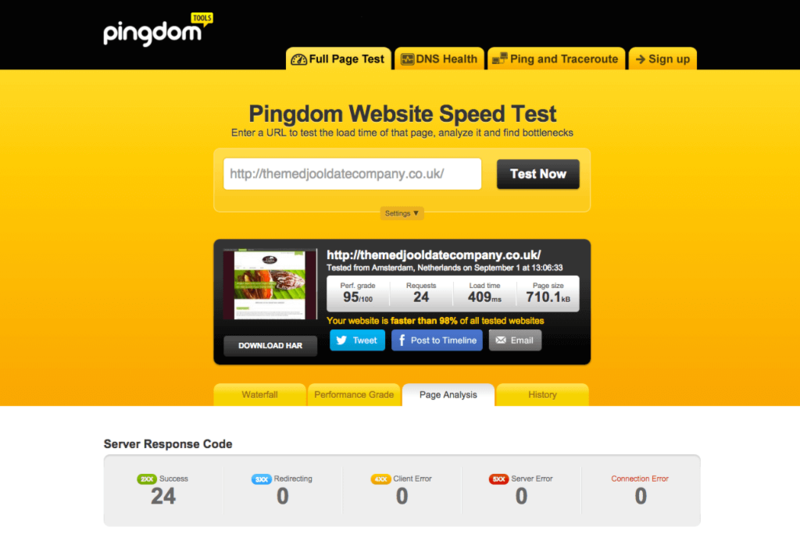 Amongst other tools, we make heavy use of Pingdom when testing websites – it’s an absolutely invaluable tool! The super fast website has already proved to be a success, with the first few transactions being made within days of going live. Take a look and let us know what you think!